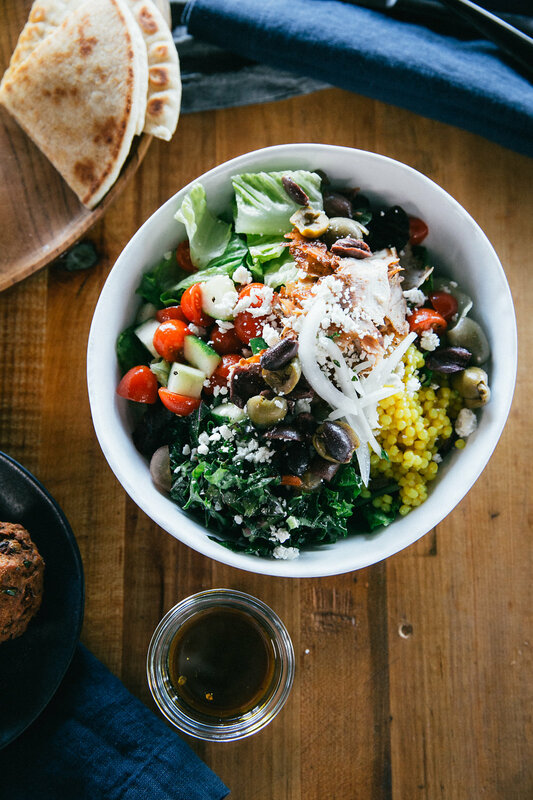 GR Kitchen is Greek restaurant established in 2015 serving healthy, fresh fare. We serve classic gyro in addition to a variety of proteins combined with fresh toppings, sauces and sides in a fast causal setting. Choose classic favorites like pilafi and Greek salad or healthier options like quinoa, kale, or roasted veggies. Featuring house-made falafel and yogurt along with local craft beers. At GR we believe the best food is the freshest and least fussy food. We try to create bold flavors from honest ingredients in a way that is accessible and convenient for modern eaters young and old. Take our house yogurt for example: it’s not Greek yogurt if it’s full of thickeners and preservatives! Have you read the back of that store bought cup lately? We make our yogurt from scratch and then strain it the old fashioned way. We use it to make our delicious Tzatziki sauce, but you can also have it for desert with fruit preserves, honey, nuts, fruit – or any combination thereof. GR is the first original venture by brothers, George and Chris Tsoutsounakis. Also run by the Tsoutsounakis family is the Astro Burgers on 39th and State – George and Chris’ father opened this first location in 1982 after immigrating to the U.S. from Crete, Greece several years earlier. 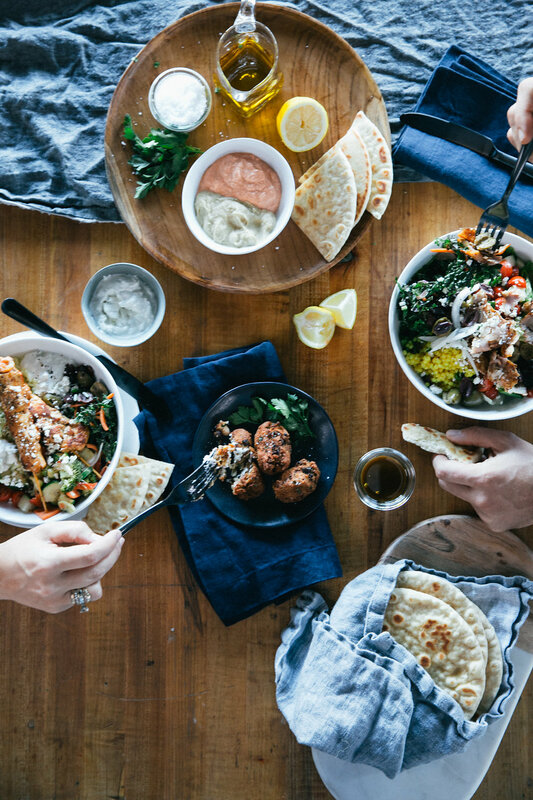 Having grown up in the restaurant business, and following Chris’ completion of culinary school, the brothers were anxious to start a new concept that could offer people the best of Greek flavors in a fresh, modern way. The GR ethos focuses not only on family, but is also rooted in community. We are dedicated to Salt Lake City and pride ourselves in contributing through small business and feeding people with care and love. Tender on the inside with a satisfying crunch on the outside, the house made falafel is satisfying and tasty. It’s a lot more tender and moist than traditional falafel - you’ll be addicted after the first bite. 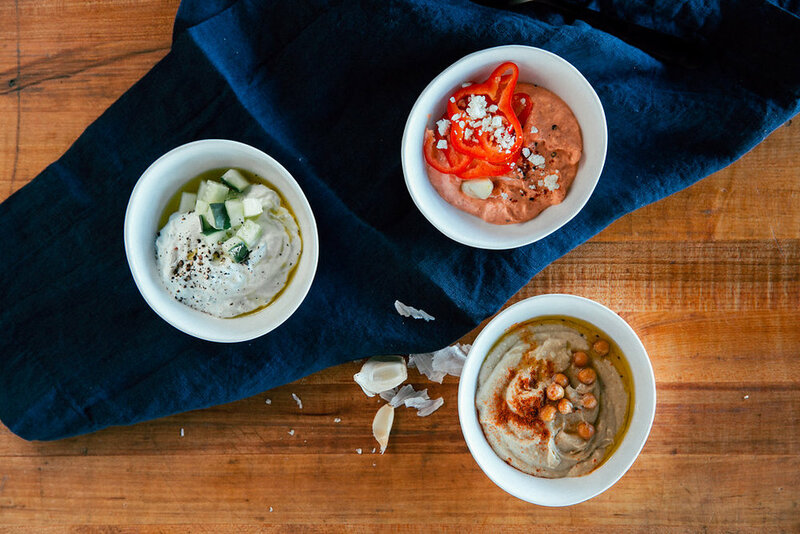 Can't get enough of our delicious house-made yogurt & dips? Buy a container to go! We make our greek yogurt the traditional way with no added preservatives or thickeners. Take a 12 oz. container home for just $7.95 or ask let us know if you need more! Take home any of our delicious dips. Feeding a crowd? Planning a celebration, working lunch or just don't want to leave your space? GR Kitchen is happy to cater your event! Pick from options below and talk to our Catering Manager, Chris, for more details. Don't forget to add Drinks (Pellegrino Soda or Fanta), Baklava, or our House-made Yogurt for dessert! This option includes both Classic Gyro and Chicken Souvlaki for each serving. Complete your meal with Lemon Rice, Greek Salad, and Pita, as well Tzatziki and Kafteri sauces. Choose from any of our proteins to customize your meal! Pick any two proteins... Pork and Falafel? Chicken and Gyro? There are plenty of combinations to make everyone happy! This catering also includes Lemon Rice, Greek Salad and Pita, as well as two sauces of your choice. Traditional portions just a bit much? Choose this lighter option and serve our delicious bowls. Select either a salad or grain (lemon rice or quinoa) and 1 protein option. This catering includes toppings: veggies, tomato/cumumber mix, feta and 1 sauce of your choice.